The Sassy Pack Rat: I Made A Fun Photo Prop. I Made A Fun Photo Prop. 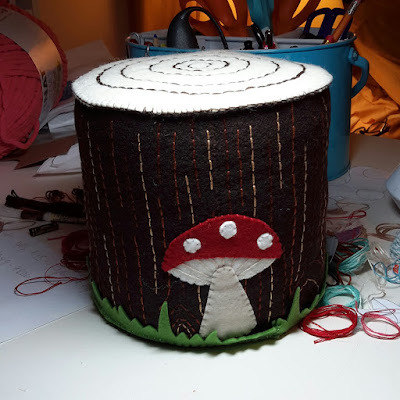 When I was making the Unicorn fairy from a few posts ago I made a stump for her to sit on but the size and coloring weren't right, so I made another one for her. Meanwhile the original one was perfect for a photo prop. It has just the right size and cartoony look. What's Going On In Sassyland?